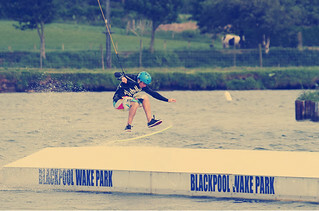 View our choice of surface water sport, wakeboarding. We provide new boards and bindings to make sure that you have the best possible ride in selected waters across the country. A great summer sport, keep the rope at a distance till you feel the wake of the waters. Change speed by using your own weight during the 4 hr session. Try to stay afloat as you are pulled along the waves at high speeds is the tactic. We provide qualified instructors for help, buoyancy and helmets for a safe ride. Browse through our wakeboarding pages and find your answers. Still have doubts? Contact us and we are available for you any time of the day.